Place des Festivals wraps up the Montreal Jazz festival tonight with a Mardi Gras parade and one last concert. Yesterday we caught the last of our shows including the godfather of Funk - George Clinton and his soul collective Parliament Funkadelic. The show opened with George nowhere in sight, his band pumping up the audience who were chanting "we want the funk". The show was dedicated to "The Montreal Canadians" which perhaps explained the red jersey that threw us all off. When the guitarist came out looking like George, the photographers snapped and the crowd swelled. 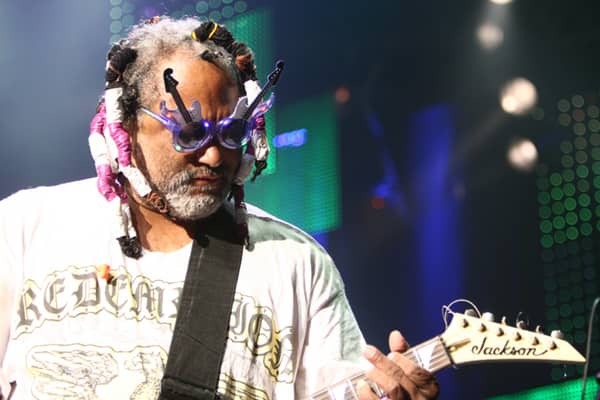 But don't be fooled by the glasses or the colourful dread wraps, that was not Clinton. 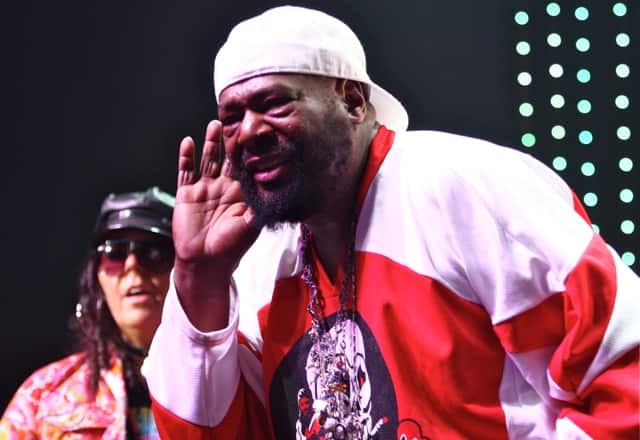 In fact one Montreal journalist reported that George Clinton never came to his own show, but he was there - with short black hair, ball cap and hockey jersey. Yes that was him, not the usual iconic image we were all accustomed to. The master of P-Funk which he had written on his cap, conducted things onstage but didn't really do much himself. He sang the odd very synthesized-ladden line, pointed a lot and bossed his band around. His band however, Parliament Funkadelic were amazing, from Melinda Woods to Bootsy Collins and they've even added a bit of Opera to the soul collective. They moved the stage and got the crowd wild for the funk. At one point, Clinton's granddaughter Sativa interrupted the stage to spit some grimy rap about how she likes the male anatomy. George eventually took her mic away in mid song. They played all their classics including 'Cosmic Slots' and 'Flashlight'. It was amazing to be reminded just how many of their songs have been sampled by other artists, especially in hip-hop, like De La Soul who we just saw in Toronto. But George himself seemed to have lost the funk in that show, he almost seemed like he couldn't be bothered to be there. But the band sure made up for it and rocked the very diverse house down. 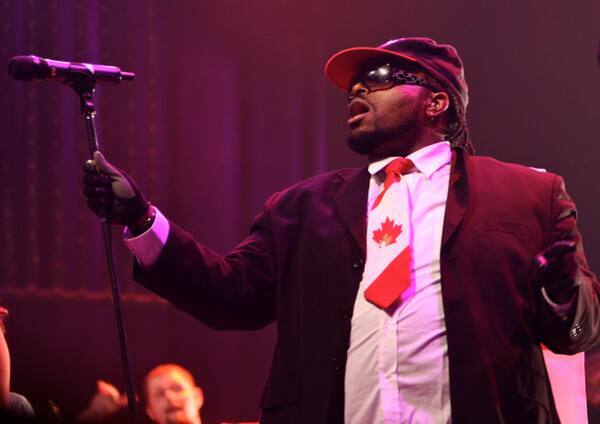 As did opening act God Made Me Funky from Toronto who call themselves "new funk". 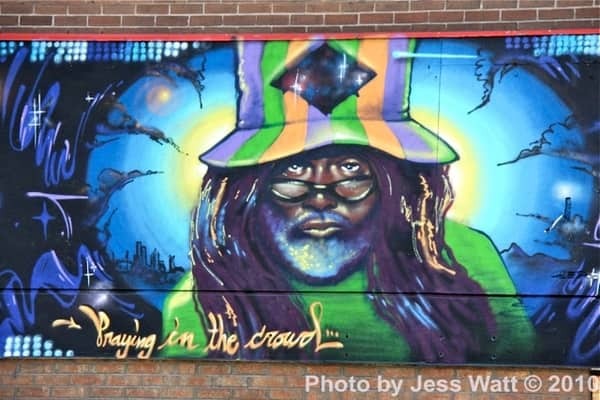 From God Made Me Funky to Gypsophilia, that seemed the theme of the festival, other than Marti Gras and Gypsy jazz, - that everything classic can be rebuilt and renewed but it always knows where it came from. Just like Jess and Jenn ~ Au Revoir Montreal, Je T'aime!